Dogs want to spend time with humans. That is what makes them such good companions. Planning time to do things together with your dog will go a long way toward keeping your dog content during the times you can’t be with him. Teach your dog some tricks. Take a day trip someplace dog friendly. Sign up for a class or work with a trainer to learn something new with your dog. 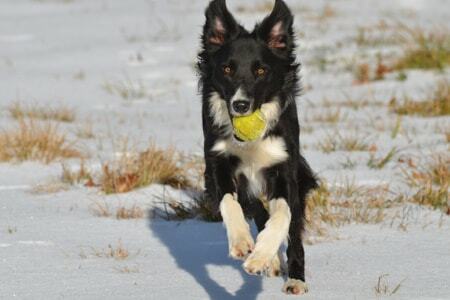 Agility, Rally, Obedience, Nosework, Freestyle (dancing with your dog), Tracking, Tricks, and Herding are all fun activities you can learn do with your dog that will help keep them from being bored when you can’t be with them. You and your dog can compete, earn titles, or just take classes for fun. What activities do you do with your dog to make your companion’s life more interesting? Share your ideas with our community!